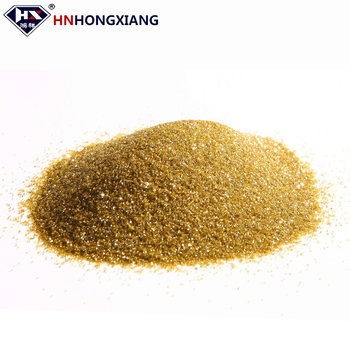 HNHONGXIANG synthetic diamond powder is made of the high-quality synthetic diamond as raw material, through many different and strict production processes. 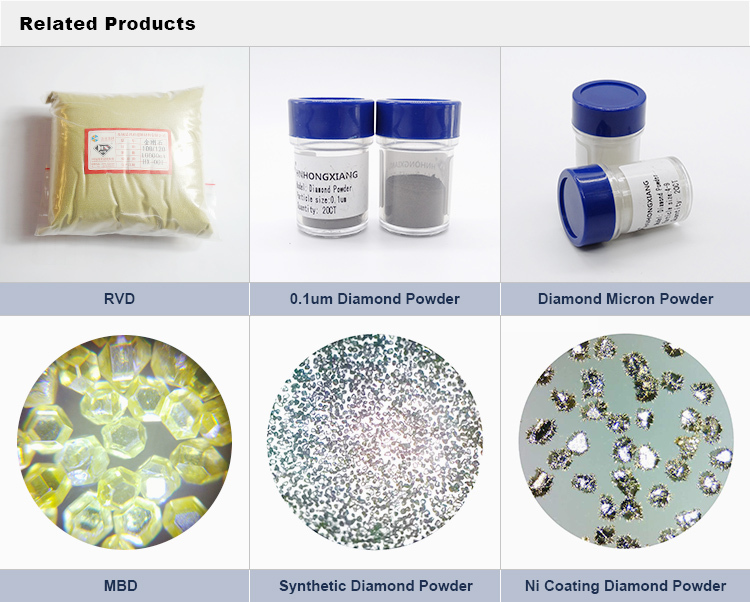 Our diamond powder can be processed and applied to the different industries for cutting, grinding, drilling and polishing usage, in order to match the different requirements. Irregular crystal form with rough surface, low impurity, high grinding strength. 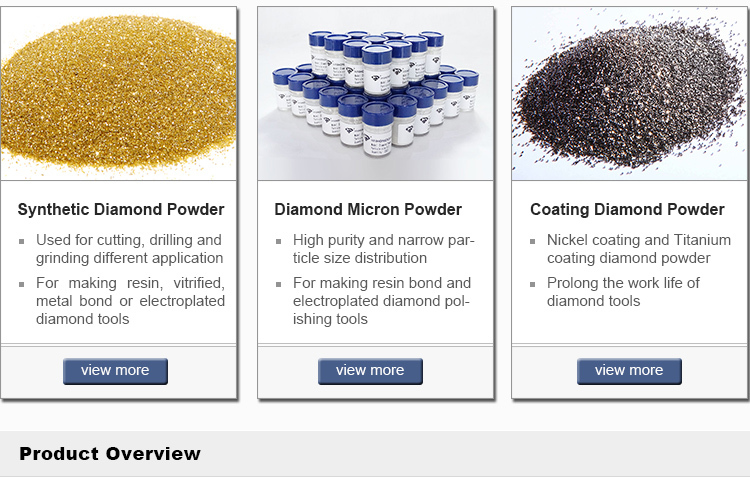 For making resin, vitrified bond or elecplated diamond tools. Diamond grinding wheels, diamond abrasives Fickert, diamond pads, electroplating diamond grinding files, etc. Stone, ceramic, glass, concrete, hard alloy, etc. Economical grade of RVD, high cost-effective. Sharp and irregular shape.The good friability help to enhance the self-sharpening ability and free cutting property, thus, effectively increase the productivity and grinding efficiency. 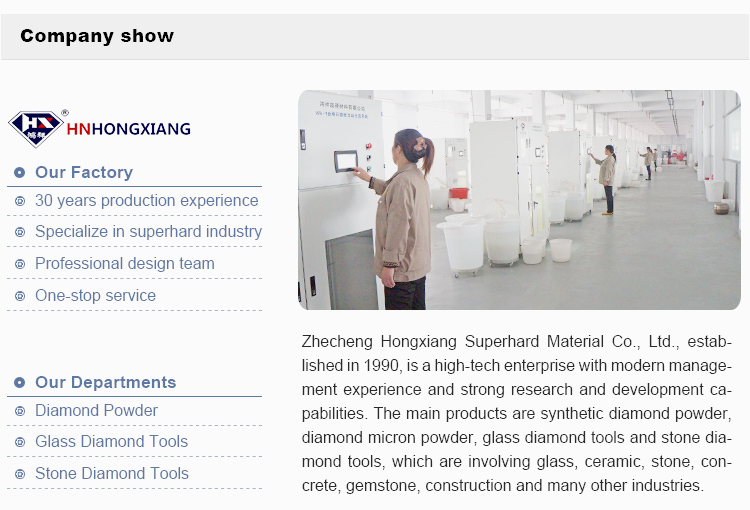 For making resin bond diamond tools, diamond grinding wheels, diamond abrasive Fickert, diamond pads, etc. 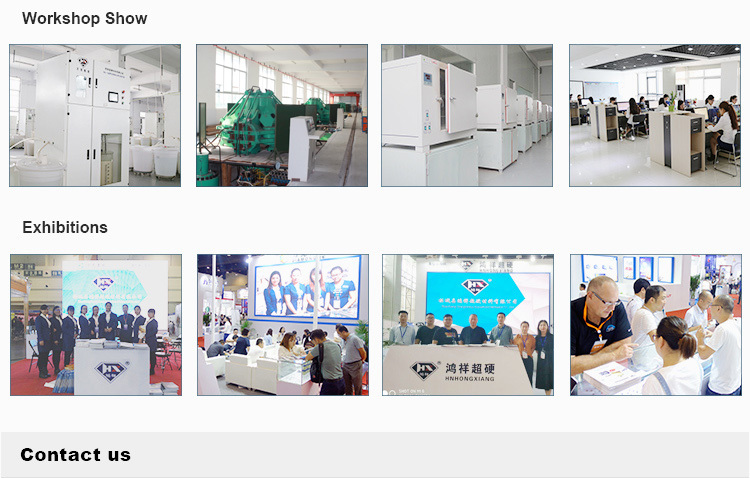 Tungsten carbides, glass, ceramics and stone material, etc. MBD series - MBD0, MBD1, MBD2, MBD3, MBD4, MBD5, MBD6, MBD8, MBD10, MBD12. The grade of diamond is higher, the diamond powder has the much better hardness, wear resistance, and thermal stability, fewer impurities, and the more regular blocky shaped perfectly octahedral crystals. For making metal bond or electroplated diamond tools, diamond drill bits, diamond saw blades, diamond grinding wheels, diamond wire saw, diamond roller, diamond squaring wheels, etc. Ceramic, stone, concrete, refractory, etc. The highest grade of diamond powder series, SMD25, SMD30, SMD35. Regular blocky shaped perfectly octahedral crystal form, high purity, high hardness and wear resistance, and thermal stability. 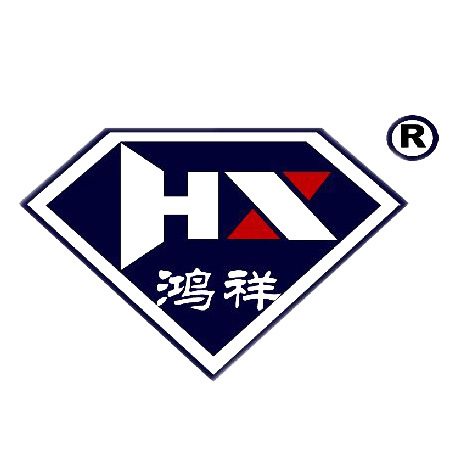 For making metal bond diamond tools, mining and geological diamond drill bits, diamond saw blades, diamond drilling bits, diamond wire saw, etc. Stone, concrete applications and construction industries. If you like this product, please collect and follow us.